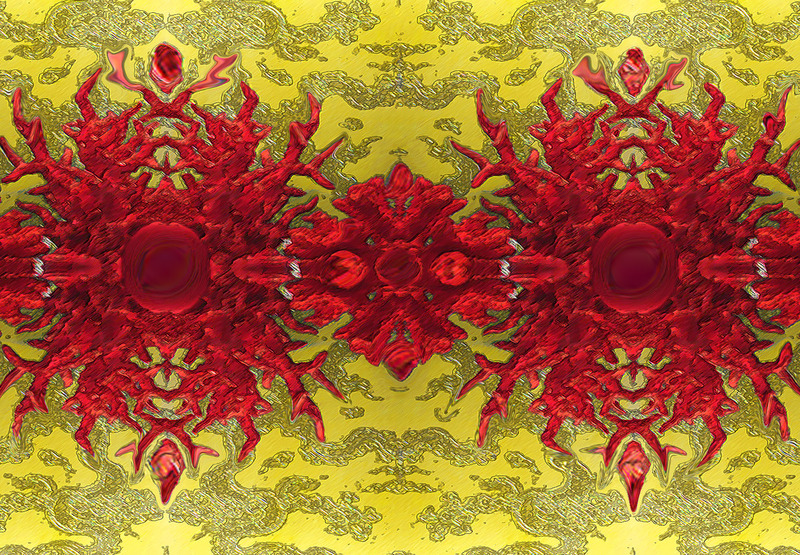 The coral seems to have taken on a new identity that of heavily encrusted imperial robes of the chinese dynaties, I love the vibrational levels of chinese yellow and with the addition or red the levels increase in intensity. Puts me in mind of the films like “The last emperor” and “Raise the Red Lantern” a real feast for the eyes. This image has come along way from its routes, a piece of red coral in Paris…………..